This bespoke Contemporary home is nestled in a private cul-de-sac in the heart of Princes Bay. It features a wide-open floor plan perfect for entertaining friends & family. Large living room & dining room with vaulted ceilings and sliders to private resort-like backyard with inground saltwater pool. Large eat-in kitchen with stainless steel appliances and 3/4 bathroom on first floor. Master bedroom suite with vaulted ceilings and private bath with Jacuzzi tub. 2 additional bedrooms and full bathroom. 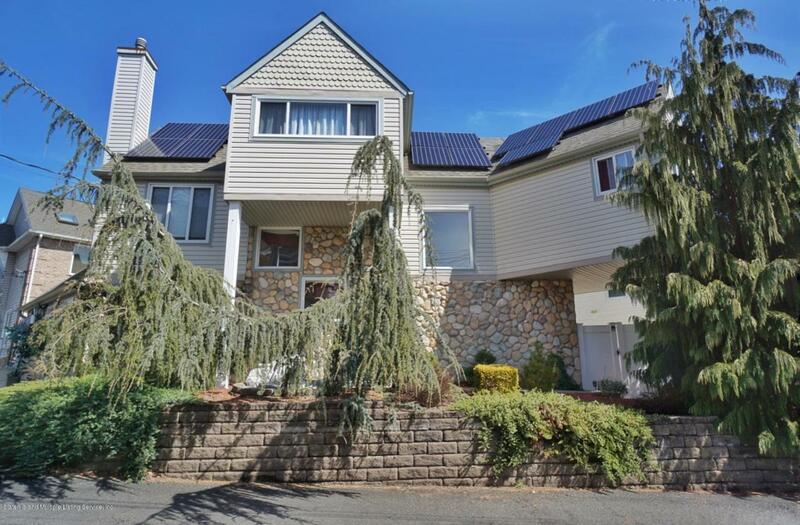 Multi-zone radiant heat, central air, solar panels, and hardwood floors. 3 car driveway for off-street convenience.